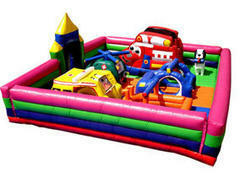 These adorable toddler inflatable rentals are design specifically with your youngest guests in mind. It's important to know that with various age groups, size matters, and it's not for toddler size children to be in a bouncer with older, larger children. Our toddler rental units have all the specialized safety features that will allow parents to keep a close watch over toddler play, and have exciting graphics and play elements to keep small children engaged. Browse the selections below and click on the "More Info" link to get more information and to make a reservation. 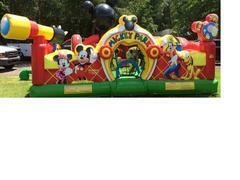 Fun for the younger group!!! 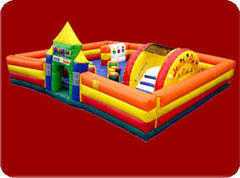 We offer the finest selection of toddler units. We sanitize each infaltble and then once again on site for double the care. We take pride in what we do.